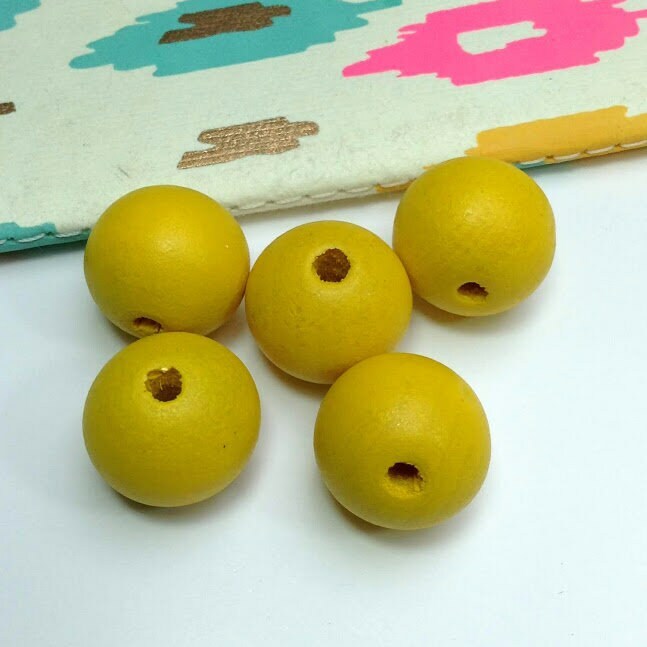 5 round yellow wooden beads. 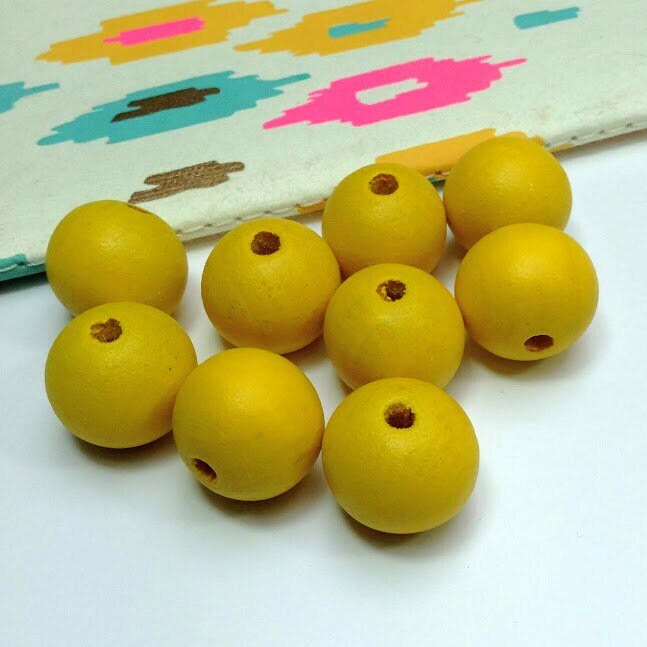 These large, hand painted beads are ideal for stringing onto waxed cord to make a stylish necklace. Mix with geometric wooden beads. Each bead measures 20mm (13/16") and has a 4mm threading hole.